Information and communication technology (ICT) provides busy clinicians with access to timely health information: e-mail updates, online educational programs, podcasts etc. to the point of overload. The abundance of information has increased user expectations about the availability of timely and useful medical information, but has perhaps reduced user objectivity in distinguishing evidence from opinion and advertisement as messages from different sources: professional associations, patient groups, pharmaceutical companies, news agencies and policymakers are all cast along the same channels in similar formats. An ongoing problem for working clinicians is how to manage available information resources to provide the best care for patients while staying informed and current without becoming overwhelmed. Beyond the technical aspects of how to approach this problem (how to choose and use tools and resources) are considerations of which resources are free and which should be purchased (or leased). Tribal knowledge. SixSigma; 2008. Available at: http://www.isixsigma.com/dictionary/Tribal_Knowledge-488.htm. Accessed December 17, 2007. 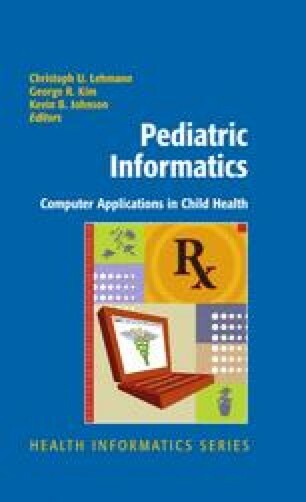 Children's Hospital Informatics Program. Healthmap. Harvard-MIT Division of Health Sciences & Technology; 2008. Available at: http://www.healthmap.org. Accessed January 2, 2008.